Formula One teams brought down the shutters on the year's last track action on Wednesday, with new Ferrari driver Charles Leclerc top of the timesheets in a tyre test in Abu Dhabi. Leclerc has tested previously for Ferrari but the final day of testing was the 21-year-old Monegasque's first in the red car as an official driver for the sport's most glamorous and successful team. 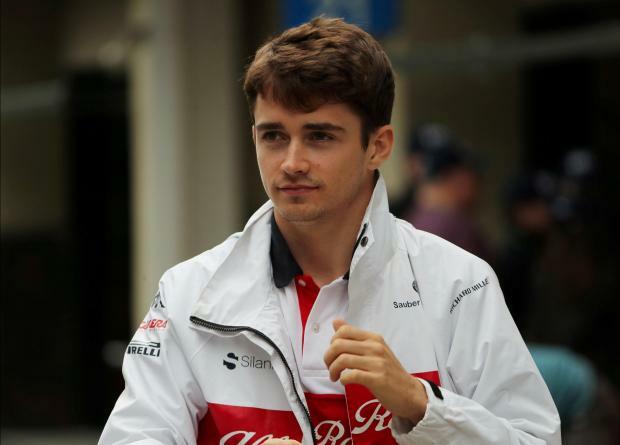 Ferrari announced in September that Leclerc, who raced for Ferrari-powered Sauber this season, would be replacing 2007 world champion Kimi Raikkonen alongside Sebastian Vettel in 2019. Ferrari said Leclerc did 135 laps in the now-retired SF71H car, equal to two and a half Abu Dhabi Grand Prix distances, with a best time of one minute 36.450 seconds on Pirelli's hypersoft tyres. "Of course it was emotional, because driving a Ferrari is special and because this was a day I had been waiting for, for so long without being sure if it would ever happen," he said. "We got through all our programme which centred on comparison testing between this and next year’s tyres. "For me, it was important because I also got to know the team better, although some were no strangers to me given my time with the Ferrari Driver Academy." Teams were able to test the entire range of 2019 tyres along with the 2018 ones. Mercedes' Valtteri Bottas was the only driver present testing with the team he raced for this year. Frenchman Pierre Gasly tried out the Red Bull following his move from Toro Rosso while Spaniard Carlos Sainz did 150 laps for McLaren after switching from Renault. "From the first lap to the 150th lap, I enjoyed them all; the feeling was good and we’ve been able to end the season in the best way possible. As soon as I got out of the box I felt comfortable in the car," said Sainz. Swiss F2 driver Louis Deletraz, who will not be competing in Formula One next year, made his test debut with the U.S.-owned Haas team and did 117 laps.